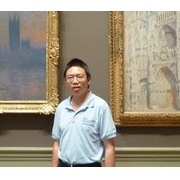 Xia Kejun is a philosopher, critic, and curator. He received his PhD in philosophy from Wuhan University and has held fellowships for post-doctoral studies at Universität Freiburg and Université de Strasbourg (following Jean-Luc Nancy). He has been on the faculty of the School of Liberal Arts at Renmin University in Beijing since 2007. Xia has published more than ten books, including The Poetry of Posture (2011); Infra-Mince: Duchamp and Zhuangzi (2011); The Pleasure of Graphic Writing (2012); The Body (2013); and An Awaiting and Unusable People: Zhuangzi and the Second Turning of Heidegger. In his philosophical writings he has sought a new path for Chinese philosophy through his development of the concept of Rest or Remains,Enchorial-topia,Bleiben-Lassen. In his studies of contemporary Chinese art he has proposed the concepts of Non-dimensionality,and infra-mince. Xia has curated many exhibitions of contemporary art in China, Hong Kong, Taiwan, and Europe.